A.S.K. 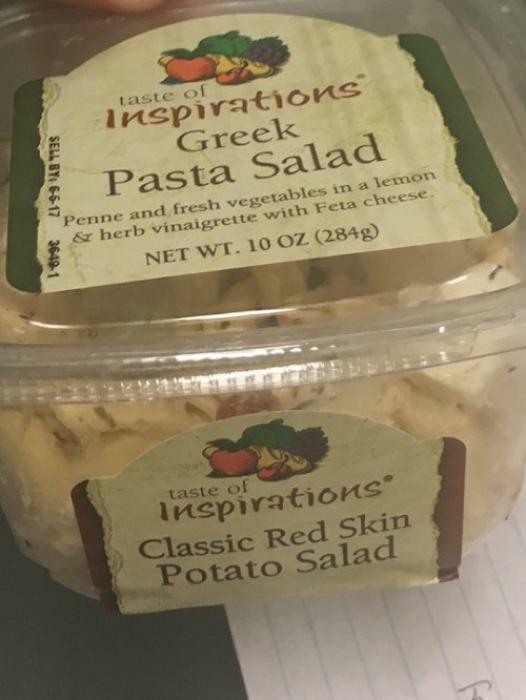 Foods of Palmyra, Pennsylvania is recalling one lot of Hannaford Supermarkets’ Taste of Inspirations Greek Pasta Salad. The recalled product, packaged in 10-oz. (284g) clear plastic containers with a lid label reading, “Taste of Inspirations Greek Pasta Salad,” has a code on the lid stating “SELL BY: 6-5-17 3649-1” and is marked with UPC 25439 98423 on the side/bottom label. It was sold at Hannaford Supermarkets in Maine, New York, Massachusetts, New Hampshire and Vermont. Customers who purchased the recalled product should return it to the store where purchased for a full refund. Consumers with questions may call the A.S.K. Foods product information line at (717) 838-6356 ext.132 from 8am – 5pm (EDT), Monday – Friday.